Token works with an impressive list of third-party products and services. Smart rings aren't a novel idea: There are plenty of fitness tracking, notification-sending, payment or even protective finger ornaments around. But none have the ability to identify you and authorize your transactions wherever you go. That is, until Token hits the market. 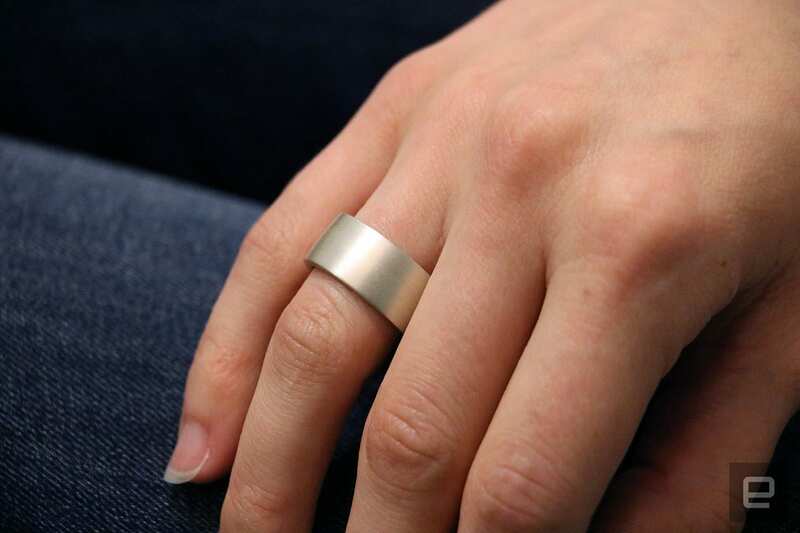 It's a biometric ring that can be used to open house doors, start cars, make credit card transactions and sign in to your computer. That all sounds nifty in theory, but without any real cooperation from the third parties that enable those authorizations, Token is all but useless. The good news is that its makers managed to get support from an impressive list of partners including MasterCard, Microsoft, Visa and HID. That last company is responsible for 80 percent of the keyless security systems in the market, according to Token's makers. Even if the physical readers at your office aren't made by HID, the protocol behind them most likely is. Setting up your Token to work as an entry card is therefore as simple as getting a keycard issued, except your profile is stored on your ring instead of a physical card. Another intriguing application for Token is as a payment card for public transport, via a MasterCard partnership. By the end of the year, you'll be able to tap on card readers to enter train and bus systems around the world. US cities slated to support this by 2017 include Chicago, Salt Lake City, Miami and Philadelphia, while the company expects service in New York City to be activated in the first quarter of 2018, although a recent report puts that date closer to 2021. 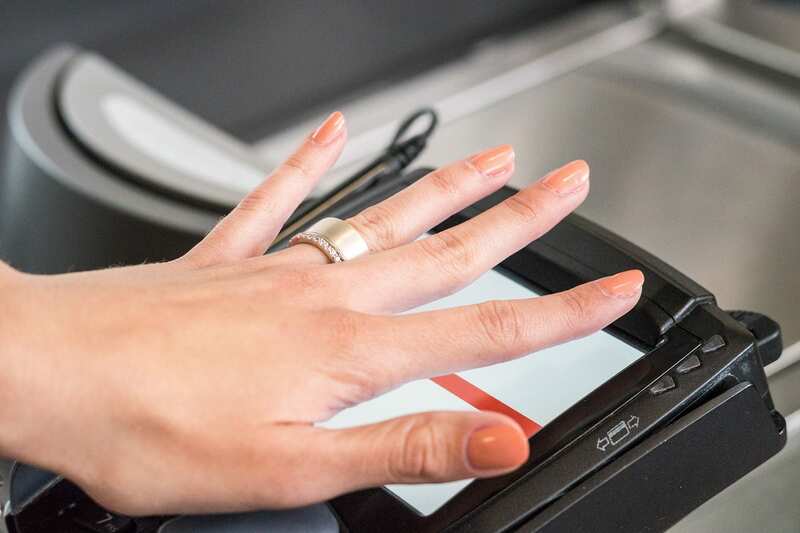 Whether that could mean greater convenience or more potential for breakdowns due to glitchy technology remains to be seen, but at a recent demo, Token worked well with sample card readers and card-payment terminals. The way Token works is simple: With a fingerprint sensor on the inside, it can confirm that you're the authorized user. Then, you slide on the ring, and an onboard IR optical sensor makes sure the device is still on your finger. As long as you have not taken it off, you can authorize transactions with a tap of your hand. Once removed, you'll have to place your finger on the sensor again before the Token can be used for access. You can add credit cards, login passwords and set up other profiles via a companion app, and afterwards, you won't have to choose which transaction to authorize. The signal that is continuously broadcast (when you're wearing the ring) can be interpreted by a variety of readers. Only one fingerprint can be assigned to each Token, as the company wants to prevent multiple users sharing such a personal product. Speaking of, whether you like the Token may come down to personal taste. It's a relatively chunky, half-inch-tall ring that looks somewhat basic. It is prettier when stacked with a slimmer, shinier ring, though, and that's up to the wearer to pair. 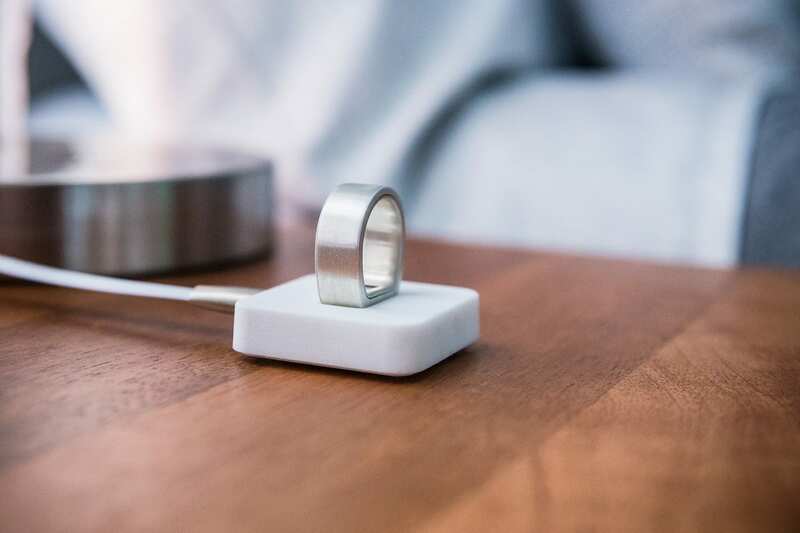 Not everyone is going to want to put on a ring, but Token's makers believe (and say their research shows) that the function provided by the device can persuade most people to use it. Thankfully, the Token is water-resistant up to 50 meters so you won't have to remove it when washing your hands. Security is also a big concern for Tokenize, the makers of Token. As its name suggests, the company uses tokenization to add a layer of protection to credit card transactions. In addition to that and the fingerprint-and-IR-sensor combination, Tokenize says it stores credentials on an EAL5+ certified secure element for safety. It's not immediately clear what other security measures are in place, but Tokenize is part of the FIDO alliance, and its partnership with major financial institutions like MasterCard and Visa lend it some credibility on the security front. Token transmits the authentication signal over NFC in most situations, while Bluetooth is used when signing into existing laptops. NFC requires close proximity between devices for an authorization, so it's not as easy as Bluetooth to exploit. But since few notebooks have NFC support yet, Token has to rely on Bluetooth for those logins, which you trigger by knocking your finger on a surface twice. When web authority W3C releases its new guidelines later this year, major browsers are expected to enable NFC or Bluetooth-based logins to websites in place of passwords. While that feature isn't live yet, you can already sign into your laptop with Token. During my demo, the company's owner unlocked her MacBook simply by rapping her ring-bearing hand on the table. Tokenize estimates that Token's battery will last up to three weeks on a charge. Each ring comes with its own wireless charging holder, and houses LED lights that will blink red each minute when your battery is down to 30 percent, which the company says is about a couple of days away from dying. There are many more applications for Token that we don't have time to get into, including an NFC-capable smart lock for your house door and a car starter for convenient setup in vehicles with the start button. These two are made by Tokenize, and cost $100 each or $399 as a kit bundled with the basic flavor of the ring. The wearable itself starts at $249, and more-premium 14K rose gold and black rhodium versions cost $299. They're available for pre-order now (in US sizes 6 to 12) on the Tokenize website and will ship in December. That gives the company's partners some time to get the infrastructure in place so all of Token's promised applications will work when it's released. And let's hope they hurry up already.